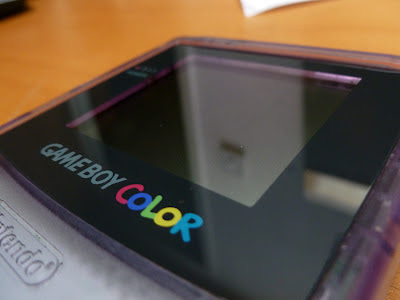 I recently picked up this old school Game Boy Color for £5, total bargain, it is in good condition aside from the screen being a bit scuffed and one pretty noticeable scratch and some dirt on the inside of the console casing. I will take apart this Game Boy Color to clean the inside at a later date but for now I have decided to replace the screen cover with a new one and document it as guidance for others. I personally believe this is definitely a worthwhile and surprisingly cheap little 'repair' to do. 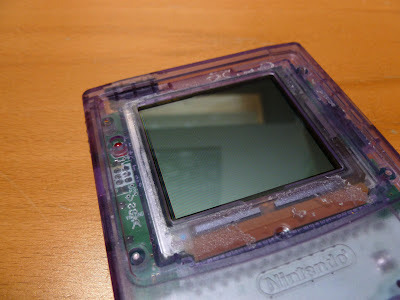 But obviously you need to assess a few factors such as, is the screen really in need of a replacement? And do you want to risk damaging your console in the process? I personally decided to go ahead and fit a new screen cover as the console itself cost me so little (£5!) and the screen's scuffs bugged me, you can't really tell in the images above but it did have a lot of scuffing and one very prominent scratch, it wasn't the worst screen in the world but it was bad enough that I wanted to replace it. 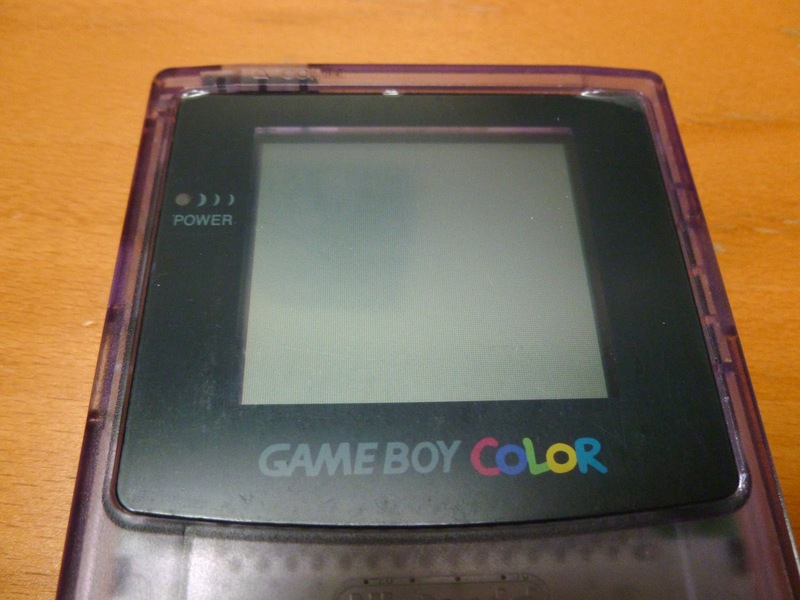 If you search along the lines of 'game boy color screen' on eBay you're already half way there! Mine cost me only £3.50 and came pretty quickly. 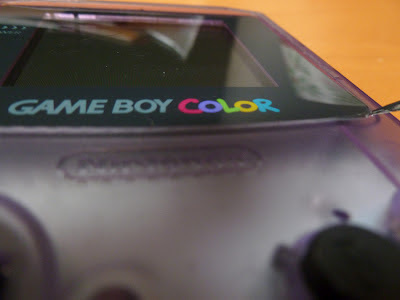 They don't tend to cost much more than what I paid, and this is one of the big pluses for replacing the screen cover... it's just so cheap to do, and the results are amazing. 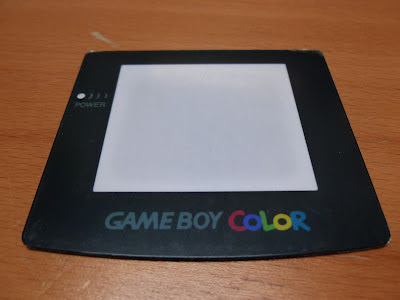 You can get official boxed Nintendo versions of these replacement screen covers but to be honest, these ones that are not sold as boxed could well be official too and honestly, at least with this one, I really cannot tell any difference. Now, the trickiest part of the whole thing, there are two ways you can remove the old screen, you could open up and take apart the Game Boy Color and then push the screen from the inside outward with force or if you don't have a tri-wing screwdriver in order to take apart the console (mine is in the post!) you can do as I have done and leaver the old screen off gently. If you chose not to open the console to remove the screen what you need to get yourself is a thin but very sturdy knife, maybe a packing knife or as I've used here, a craft knife. Then gently insert the knife into the edge of the screen, the corners work best, and gently lift away the screen. 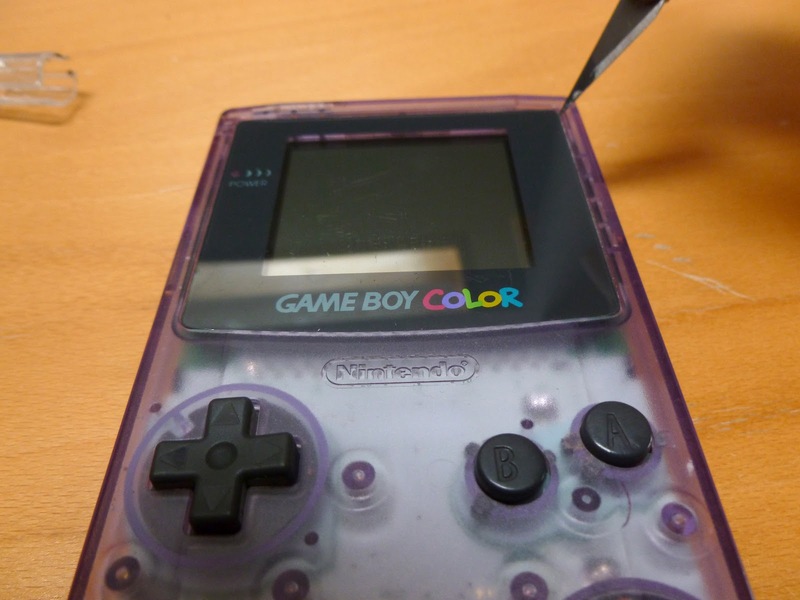 The glue on the original screen is very tough and so this will take time and patience, just be careful not to use too much force as you could damage the case of the Game Boy Color. Once it starts to give a bit and lift up then you can, again, very gently insert the knife a little and work your way around the screen till it feels like it will give... and pop! The old screen is no more! 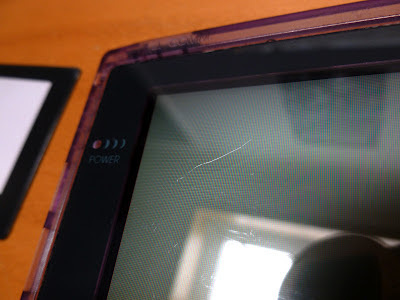 You want to do this fairly quickly as the last thing you want is for dust to get on to the screen itself, make sure that when the old screen cover comes off you are ready to get the new one on. My new screen cover has a white backing which I imagine most - if not all - have. Remove this backing and quickly apply into place. I got the top two corners in and then slowly dropped in to place, to be honest you can't really go wrong with this step, the only thing to make sure of is that there is no dust. 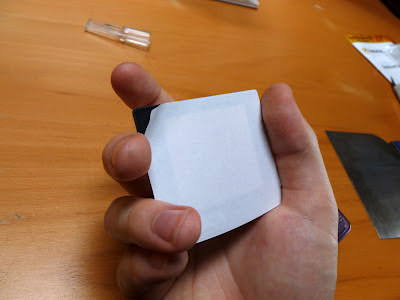 Once the screen has fallen into place you can press firmly across the black area of the screen cover as this is where all the adhesive is, make sure it has created a nice tight and flat bond. 5. Remove protective film and marvel! 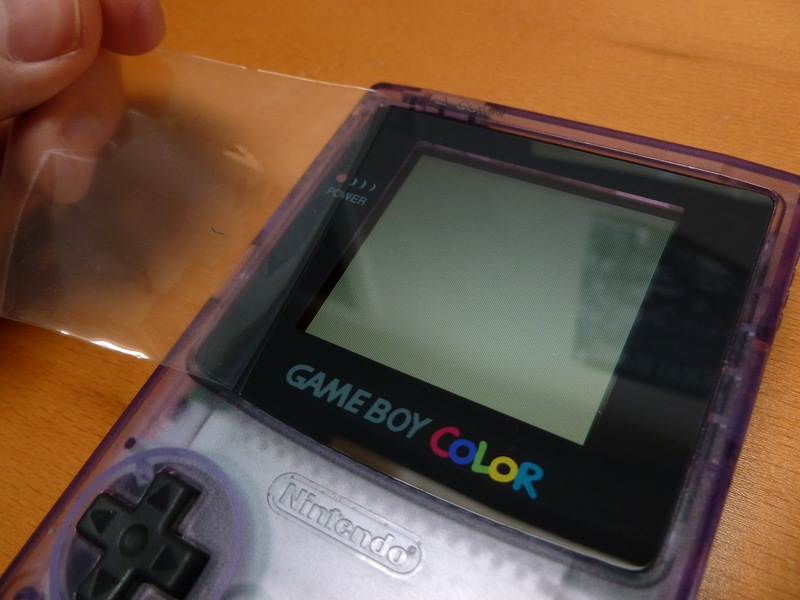 Now all that is left to do is remove the protective film from one of the corners (being careful not to scratch the screen in the process!) 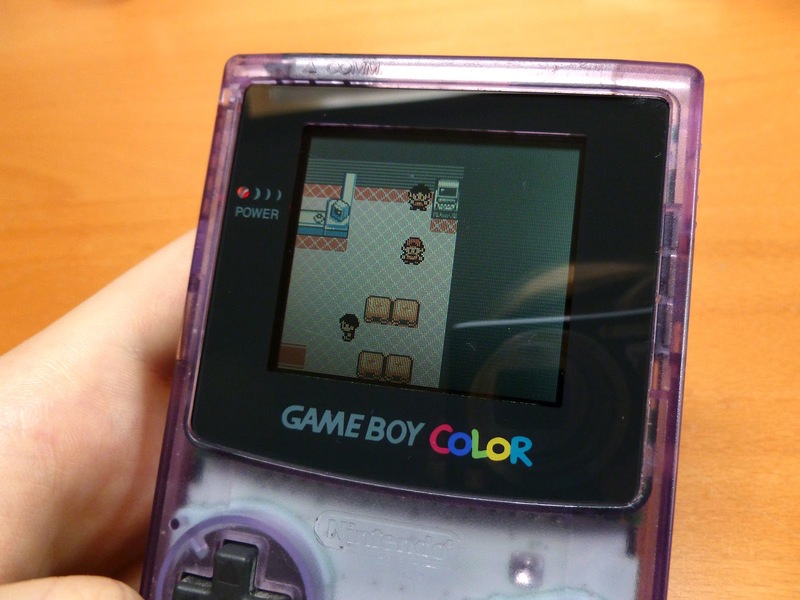 and marvel at your shiny new screen. I was surprised by how much this made the Game Boy Color look new. The screens on these Game Boys don't tend to die or even become damaged very often, and so by changing the screen cover - which by contrast usually get a lot of wear - the screen appears clearer and brighter. 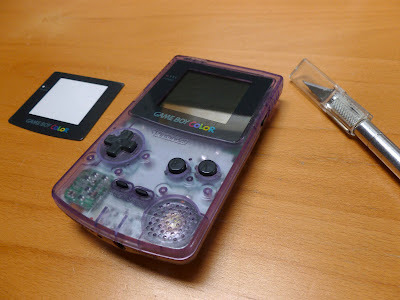 This is definitely a worthwhile, quick and easy way to bring an old console back and make it feel new, plus its very very cheap to do at the moment so there is almost no reason not to!